In 2018 file photo, a shopper walks past a Huawei store at a shopping mall in Beijing. Canada violated the constitutional rights of Huawei executive Meng Wanzhou when border officials detained and interrogated her for hours, lawyers for Meng are alleging in a lawsuit against the Canadian government. Meng, the chief financial officer of the Chinese telecom firm Huawei, was arrested by Canadian officials in December at the request of the United States. The U.S. had sought Meng's arrest on charges of fraud, arguing Huawei had violated U.S. sanctions on Iran. In detaining Meng, Canada became entangled in the ongoing legal battle between the U.S. and China, which have been sparring over alleged spying by the Chinese telecom company. China has detained more than a dozen Canadian citizens, possibly in retaliation for its arrest of Meng. Meng, who is the daughter of Huawei's founder, claims border officials engaged in a "deliberate and pre-meditated effort" to obtain evidence from her in violation of the Canadian Charter of Rights and Freedoms, the CBC reports. The Charter says that everyone has the right to be secure against "unreasonable search or seizure," and has the right "not to be arbitrarily detained or imprisoned." Meng's suit alleges that, after securing a warrant for her arrest, officers intentionally delayed that arrest to give them time to conduct a border check in order to extract information from her. The lawsuit implicates the U.S. Department of Justice, alleging that Canadian border officials detained Meng to obtain information "which they and the RCMP [Royal Canadian Mounted Police] and/or U.S. D.O.J. did not believe would be obtained if the Plaintiff was immediately arrested." The suit alleges border officials unlawfully seized cellphones, an iPad, and a computer, and then demanded Meng give police her passwords, the CBC reported. On Friday, Canada said it would allow the extradition hearing against Meng to proceed. The U.S. has sought the extradition of Meng since her arrest. The Department of Justice unsealed criminal charges against Huawei in January, indicting the company on 13 criminal counts. 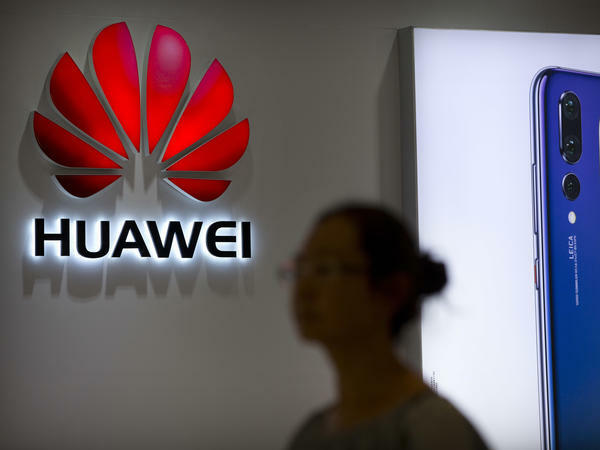 The U.S. in January unsealed 13 criminal criminal charges against the company; according to the New York Times, Huawei is expected to sue the U.S. this week for banning federal agencies from using the telecommunications company's products. "It is part of a broad push by Huawei to defend itself against a campaign led by the United States to undermine the company, which Washington sees as a security threat."